Find a fun way to help others and you will always be pleasantly surprised at how much it helps you in return. Competitively working your way through high school and college will often feel like one of the most selfish journeys you will take. Everything centers around how to get YOUR degree, how to prepare for YOUR future career, how to ensure that YOU can succeed. Every once in a while, YOU really just need to take some time off and make progress for others. 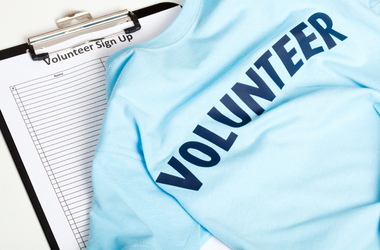 Volunteer work is an excellent way to boost both out-of-school activities and individual well-being. Once started, you will find that community service means much more than another check off the application list. Community service is, obviously, all about helping others in need. Volunteer work is an excellent way to boost both out-of-school activities and individual well-being. Homeless shelters, soup kitchens and food pantries assist those in need and all love to have volunteers organizing items or directly working with beneficiaries. Local homes for senior citizens often need assistance, too. Also, do not feel limited to just helping people! Stop by an animal shelter to make some fluffy friends. All of these classic community service centers appreciate short term volunteers, those who stop in for this Saturday’s food distribution, and long term volunteers, those can be counted on to help run senior line-dancing classes every Wednesday. It would be ideal to commit to one or two places for the long run, and try new ones occasionally for a change. If it feels too hard to balance one of those long-term commitments on top of schoolwork, take advantage of summer vacation and volunteer as a camp counselor. This activity can easily be one of the most rewarding; not much beats receiving volunteer hours for making macaroni necklaces and giving out smiles. Be warned, counseling is not for the faint of heart. Running in 15 games of tag guarantees exhaustion at the end of the day. Start out with some babysitting, then try a day program and finally step it up to overnight camp. Next summer may seem far off, but some camps accept applicants as early as mid-January. Better to look sooner than later! Finding somewhere to volunteer should never be a hassle; you can even just stick around after school for something to do. Teachers often accept help in setting up for lessons or activities, reviewing papers and grading quizzes. For those who need to practice basketball or swim after school, this set-up is ideal as the work could be done during lunch or study hall. Even though the range of opportunities is vast, it can be hard to find something suited just to one’s taste. Make the volunteer work best for you by starting your own project. Colleges simply swoon over this sort of student leadership. Food and clothing drives are some of the most common and reliable projects, as the items directly fulfill others’ needs. Ensure that you contact a specific organization and know what goods it accepts; donors like to see exactly where their efforts go. Raise money for one of your favorite charities with an event during a holiday, week or month designated to that cause! Some classics are bake sales and car washes, but be sure to stay creative! Give basic events like these a special twist or theme, or try something entirely new. If working a day as a camp counselor leaves you yearning for a nap, a month planning one of these events can require full hibernation. Do not underestimate the time commitment in a community service project. Don’t run away frightened now either; if you do not believe that you could handle it alone, recruit friends, sports teams or clubs to join the effort. Not only do these activities bring immense enjoyment to fill free time, but some schools and academic organizations require it. Check and see if you need a certain number of volunteer hours per year, and make sure that you fit the time in before the deadline for submissions. Be sure to bring school volunteer forms to the places you serve and have the central organizer sign them to verify your efforts. Serving one’s community shouldn't feel forced. There are so many opportunities available to students that one should never run out of new volunteer places to try. Find a fun way to help others and you will always be pleasantly surprised at how much it helps you in return.